Dr. Steven Shoshany of New York City is proud to announce that he has recently launched his new website, www.LivingwellNewYork.com, to coincide with an exciting new direction he is taking with his office and an expansion of the practice. New York (PRWEB) June 23, 2009 -- Dr. Steven Shoshany D.C has been practicing Chiropractic care in New York City for more than 13 years in his SOHO office. He recently launched his new website, www.LivingwellNewYork.com, to coincide with the expansion of the practice and his efforts to pursue an exciting new direction. Dr. Shoshany's new office combines the disciplines of pain management, physical therapy, Chiropractic care, and nonsurgical spinal decompression. The new multi-disciplinary facility is a one-stop shop for patients seeking not only relief from pain but a long-term solution to their problem. What makes the facility unique is it was one of the first to offer non-surgical spinal decompression in NYC and Dr. Steven Shoshany is the only doctor in the US to hold a patent for his proprietary spinal decompression protocols. 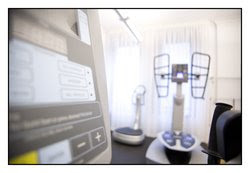 He is one of the few chiropractors using state-of-the-art equipment like SpineForce and the DRX 9000. This past month also marked the 1000th patient successfully treated by Dr. Shoshany with the DRX 9000 spinal decompression system. The DRX 9000 non-surgical spinal decompression creates a negative pressure inside the disc, which draws in bulging or herniated disc material, like suction. This stimulates the body to undergo a process known as "fibroblast activity," producing fresh new tissues and cells. These new cells attach themselves to the torn fibers of the disc that causes it contents to bulge. In essence, it's like a bone healing. When complete, the bone is stronger than before. It is more of a cure than a temporary remedy. Living Well Medical provides combined services of the medical, physical therapy, and chiropractic industries. Located at 632 Broadway, New York, NY, the hybrid facility specializes in sports medicine, acupuncture, massage therapy, chiropractic care, and herniated disc treatment, utilizing non-surgical spinal decompression. 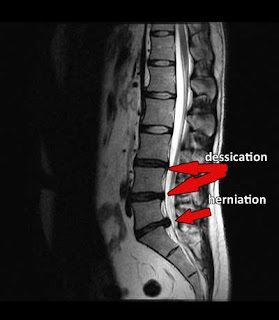 Dr. Steven Shoshany and his team also incorporate graston technique, 3D exercise on the Spine Force, and traditional chiropractic care into their herniated disc treatment protocols. Headed by Dr. Arnold Blank -- a board certified pain management specialist, Living Well medical utilizes the most advanced rehabilitation and chiropractic care available today.